We offer Cabling AMC & Micro AMC to its valuable customers. Our services are subject to the making of the equipment and the condition. These services are provided for technical up gradation as well as renewal of the software and various other anti virus. Center unit rack with backsheet, top cover, bottom cover and with shelf stoppers. Our client can avail from us Center Racks which are specially coated with anti-corrosion coating which protect them and provide longer life to them. These racks are used to display the various types of items in showroom or grocery shops. Keeping in mind the varying specification of our clients, we offer our entire range in various shapes and sizes. To meet the needs of our valuable customers, we are instrumental in offering elegantly designed Data Equipment Rack. We are offering Center Rack to our clients. 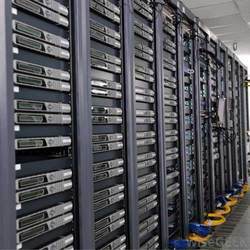 We are engaged in offering Center Racks to our clients. Keeping the diverse requirements of customers in mind, we are instrumental in presenting comprehensive range of Supermarket Rack. The Ultima 800 Racking System is designed to offer great versatility in use and is intended primarily to offer excellent cable management in Networking and Electronics field. Dhananjay Industrial Engineer Pvt. Ltd.